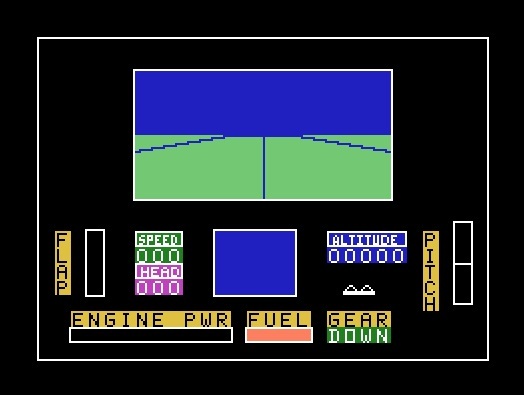 You can see the instrument panel and the view through the cockpit window. 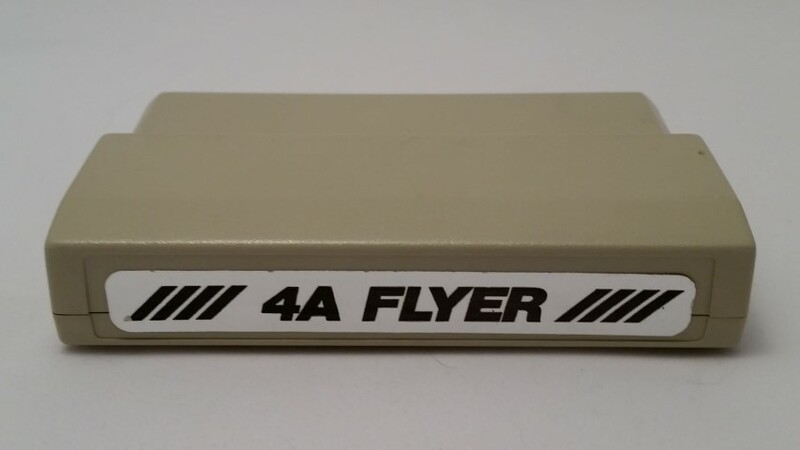 Your 4A Flyer combat plane is ready to take off on its next mission... to carry top secret cargo to 4 separate airports. Beware! Enemy planes will try to keep you from reaching your destinations. Take off ! The instruments show you the status of your plane, the artificial horizon indicator shows the actual tilt of the plane, and the flight computer displays information about enemy planes and the location of the closest airport. Develop your skills under clear blue skies or try your luck in a variety of weather conditions...the choice is yours!